WISE, VA--(Marketwired - Feb 12, 2015) - In a recent interview with Industry Visions News, Jim Stovall, author of "Wisdom for Winners," offered his congratulations to Don Green, director of the Napoleon Hill Foundation, for topping one million dollars in the scholarship fund for The University of Virginia's College at Wise. The Napoleon Hill Scholars program encourages students at UVa-Wise to participate in honors studies and engage in business research based on Napoleon Hill's "Keys to Success" philosophy. Funding for scholarship programs has resulted largely from the sale of motivational books from America's top authors. 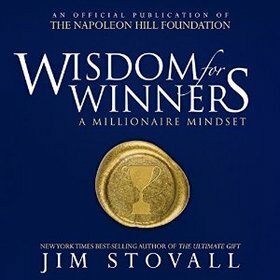 New York Times bestselling author, Jim Stovall, became the latest addition to the Napoleon Hill Foundation library, with a compilation of his weekly syndicated articles on success entitled, "Wisdom for Winners." "These were articles I had written over the last twenty years," said Stovall. "I was delighted to hear Don Green was a regular reader who re-purposed my column as 365 daily success thoughts entitled, 'Wisdom for Winners.' Knowing that my column is perpetuating continued success for generations to come through the Napoleon Hill Foundation gives me great pleasure." Jim Stovall has also made his mark as a producer of inspirational motion pictures that have vaulted from the success of his books. Among the titles are: "The Ultimate Gift," "The Ultimate Life," and "The lamp." When asked if movies were compatible with writing Stovall said, "I think if Shakespeare or Mark Twain were alive today, they would be making movies as well as writing. Because of our culture, people may see one of my movies but never read one of my books; movies are a wonderful way to present a message." 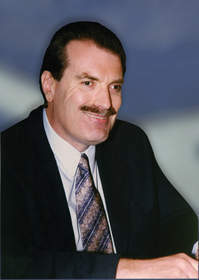 Don Green has been at the helm of the Napoleon Hill Foundation since he retired after a successful career in banking. He started work for the foundation from a small office in a drycleaners store. "It was a 10 foot by 12 foot office," Green recalled. "A local businessman gave me a small wooden desk and I went to Wal-Mart to purchase a combination phone and fax machine for $89.99 -- then started work. Annedia Sturgill, one of my employees from the bank, joined the cause as my administrative assistant when we moved to campus. I remember so clearly when we talked about our goal of donating a million dollars to the scholarship fund… now it's happened. I think it proves the Napoleon Hill Principle that anything a man can conceive and believe he can achieve!" Industry Visions, WVSN Reports is a national industrial news show that spotlights the "Lofty Endeavors Of American Industry That Benefit Humanity Around the World." Jim Stovall author of "Wisdom For Winners" interviews with Allyn Mark host of "Industry Visions News." Jim is an Olympic Champion weight lifter, author, of 26 books, several motion pictures, and recipient of the international Humanitarian Award. Jim's great accomplishments have all happened as he has dealt with the challenges of blindness. He is also Co-Founder of the narrative TV network to bring television to the blind and visually impaired. Don Green, the Foundation’s director, presented a $250,000 check to Chancellor Donna P. Henry. The scholarship fund, established in 1997, is named in honor of Napoleon Hill, a native of Wise County. Hill’s business and success philosophies remain popular around the world.